Are You Putting The Kibosh On Creativity? Artists know that trusting their instincts is essential for creativity to flourish. Likewise, if we don’t offer this trust to our children, it’s far less likely they’ll learn to trust themselves enough to enjoy art or fulfill their creative potential. For young children, play and arts-and-crafts are the same thing. Both are inherently educational opportunities for self-directed exploration, freedom of expression and fun. Toddlers and preschoolers aren’t looking to make something that looks “good” to anyone else. They couldn’t care less if their creation looks finished like it’s “supposed to”, or resembles anything in particular. 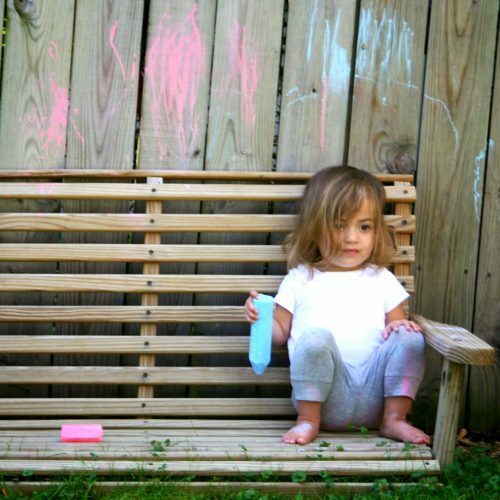 Like most artists, young children run on instinct and create just to please themselves. They live in the moment, revel in the process, while learning and developing self-confidence. So why is it so hard to let them be? 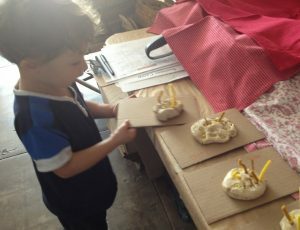 In Jasper’s art class this morning, they made suns out of clay, beads, and yellow and gold pipe cleaners. I was one of the only moms who allowed their child to have his own experience with the materials. The other moms directed their toddlers and even embellished their projects with additional beads and pipe cleaners. Jasper’s work is always very minimalist but he is very considerate and deliberate with what he chooses to use and how he places the adornments. At the end of class, only ONE child went back for his project. It was Jasper. The teacher usually keeps the clay projects for one week to dry, but this week Jasper went back and insisted he take it home today and the teacher said yes. We are home now and he’s still working on his project and enjoying it immensely. We thank you and RIE for that! Young children don’t need art instruction, though they can benefit if we handle ourselves with Noelle’s care, trust and restraint. The ideal, most creative scenario would be for the teacher to offer materials without suggesting ideas to the children. Why limit them to making suns when they might imagine a whole universe of creative possibilities? Why train them to be goal-oriented rather than encourage the natural, healthy (and inspiring) ability children have to enjoy the process? 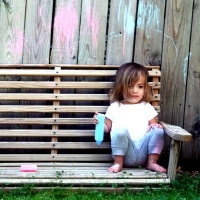 I wish every parent and educator, especially those interested in creativity, would watch prodigy Aelita Andre’s videos. Although her talent is obviously rare and extraordinary, the total absorption she shows in her “work” isn’t (unique, that is). In fact, it is something I observe in babies and toddlers all the time. This is self-directed play, children communing with self and engaging with their surroundings on their own terms. Every child is capable of this, beginning as young as a few days old, although it is up to us to foster it. Focus, flow, free play — whatever we call it — this is a richly educational, therapeutic and gratifying experience. Experience freedom and autonomy (which generally makes children much more amenable to the limits and directions they need us to give them). To encourage creativity we must let go of results and recognize the imbalance of power that occurs when we assist our children. Our well-intentioned impulses to make it just a little better usually end up ruining everything. Even the most subtle meddling can interrupt a child spinning gold from straw — or pipe cleaners into rays of sun. As Noelle noticed in art class, creative experiences are of little value to children if they don’t own them. A BIG thank you to Noelle and Jasper for letting me share your story! Janet, it’s so interesting that you posted this. I just wrote a post for tomorrow that touched on this same subject. I continue to reflect on what I do and strive to make sure that I encourage and not squelch kids’ creativity. Thanks for a great post. Thank you, Scott! You often share inspiring posts on this topic and you provide such brilliant examples from your classroom: http://scottsbricks.blogspot.com/ You are a wonderful model of “restraint” regarding creativity. Thanks for your incredible instincts…and all you do! This topic is especially pertinent in the world of “helicopter parents” epidemic. As a new-ish Mom (of a 2 yrd old, but I still feel as I am learning every moment!) it takes a conscious effort to not make it “my way” or “better”. My sister is a great influence as her husband is an artist and she encourages “wild creativity”. 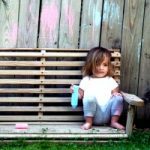 Being around other parents who embrace the child’s own creativity is wonderful reminder! Hi Julie! It takes a “conscious effort” for all of us. Truly. I’ve been doing this for 19 years and it still takes a conscious effort not to make it “better”. I love the “wild creativity”! Lucky you to have such great influences around you. Okay, I want to correct something because I think it’s important. Although I smile at your sister’s term “wild creativity”, I think that it might give some the wrong impression. Child-led creativity isn’t extreme, wild or unruly. This is creativity. It is good, real, right, the way it should be, in my opinion. Oh, wildness, in and of itself, isn’t a negative thing. Letting your thoughts run can be wild, in a chaotic sort of way until it all settles into a more of a pattern. Oh, and I loved this post, Janet. Thank you. Thank you, Kayla, and I totally agree, but wasn’t sure if others would understand that this isn’t a “fringe” point of view; it is the way art should be, in my humble opinion. Unfortunately, more directive ways have become the norm. Hi, my daughter belonged for a short while to a creative club but I was the only parent who, while giving a small amount of direction for her to think about, was the only adult sat back watching her make/create things for herself. I was totally appalled that every other parent was interfering and one or two just completely took over. It was sad to see. We didn’t bother after about 4 weeks. Remember, all parents-like children-are different and have parenting ways based on a multitude of reasons (how THEY were brought up, what they know, etc). I whole heartedly agree with RIE but saying the parenting styles of others is ‘sad’ to witness, is elitist. and leaving a club because no other parents were doing what you were can be a harmful message for the child…”Only bother if others are doing the same”. I think there is SOME benifit to “projects” as long as you don’t do them too often. I think giving a few different options would also be good as opposed to, “everyone make a sun.” I think there is some value to providing a simple, compact goal for completion. There is satisfaction in finishing something and it gives an older child a sense of having done something more “real.” the T-shirt example you cite elsewhere on your blog is a good example… It was something entirely more special than scribbling on paper. Or how about the “tall paintings” Teacher Tom does with his preschoolers? I think maybe projects are a different type of play than the all important art exploration. It’s not just about creativity: it’s part art and part jigsaw puzzle. Meagan, I sort of agree, but I think this idea of doing something “real” is actually the problem. We are the ones who don’t see the child’s experimentation or invention as “real”. And then we teach this to our children. Your silly scribbles aren’t “real”. It’s much “better” to make something “real”. Who are we to decide what is “real” for another person? Art and creativity are about making something that feels real to that individual person at that moment. It’s not about what someone else believes is real, “right”, good, or whatever. There might be other benefits to doing those kinds of things, but they do not encourage creativity…and can discourage it. They can discourage creativity yes. I do see what you’re saying. But I don’t think the perception of “real” vs “not real” is entirely an adult projection. I remember being about 5 and explaining, quite seriously, to another kid, that right now I’m a little kid, next year I’ll be a big kid, then I’ll be a teenager and finally I’ll grow up to be a human being (beem). Of course that also has a lot to do with language understanding, but I think children can have the sense that childhood is a separate life from real life. What do you want to be when you grow up? Awful question. What do you want to be now? I want my kids to understand that they have already started their lives and they already have power. Ok, that’s all very abstract, and I’m not sure I has as much to do with art projects as I think, but in my mind they’re tied together. I don’t devalue scribbling. But a scribble is never finished, and I think there’s value in providing an opportunity to do something that has completion built into it. Another potential benifit to projects is the freedom of limits. A table full of blank paper and art supplies might be overwhelming. A loose goal, and a few simple elements, might encourage MORE exploration. My most striking paintings have a limited palett. I’m not saying it should all, or even half, be projects. I just urge you not to dismiss them. I think they have an entirely different kind of value than art experimentation. Not better or less, different. All that said, I’d be perfectly happy if my son never comes home with a paper plate and cotton ball snowman. Good point about the freedom of limits, Meagan. Generally, the older the child is, the safer it is to name their projects. 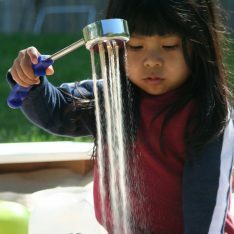 But in their first years children usually just want to experiment with the materials. They aren’t developmentally ready to want to make “something” (unless they decide it’s “something”) and asking them to do so is usually limiting and discouraging. I think that’s fair. I can’t imagine doing a project with a toddler, but I love some of the projects Teacher Tom does with preschoolers. This is great! I remember an elementary school art teacher drawing on one of my projects, and I got really angry. I told her that she had no right to do that, and she seemed shocked. Step back, adults! The children are busy. Hopefully, I will remember this experience and remember to give my girls space as they grow. I’d like to recommend a great book that our city art teacher referred me to that is built on the philosophy that art be about process rather than product at this age. It’s MaryAnn Kohl’s First Art for Toddlers and Twos. I think of it as a recipe book for how to put together an art station and make things like clay, gak, paint, etc. and let your child create whatever they like. Our city art class has been fabulous — the teacher sets out various materials and lets the toddlers do whatever they decide to do with it. If a kid decides to play with the bubbles in the tub for hand-washing the entire class (like my daughter often does), that is a-ok! Sounds great, Jessica! Thank you for making me aware of Kohl’s book. This is such an important post, Janet. I’m constantly referring you to parents, as you do such a good job unpacking the big questions of parenting. Thanks also for including a link to Tinkerlab. Thanks for all you do, Rachelle! What a wonderful article I wish more parents understood that it’s about process rather than product even as high as secondary school exams in creative subects the final outcome gets much less marks than the process aspects do but as adults we are very goal orientated. We have already been informed by my eldest’s new preschool that it is unlikely we will have many items for our fridge instead he will have a tool box of methods to experiment with as he enters school the following year. I really like the sound of that school. Lucky you! I love this article and totally agree. My question is, my toddler twins go to Sunday school and at Sunday school their art projects always look the same. They usually forget them at church and don’t want to bring them home… My daughter tells me they “helped her” with hers. Thanks, Twinmom! I wouldn’t worry about the once a week projects. Interesting that they’re so disinterested in them, isn’t it? This is so common, and yet we don’t put “didn’t really make it, so I don’t give a hoot” together. I hope it’s okay if I share another thought. I agree with Janet’s suggestions and would also add that process-based projects, or those that focus on sensory experiences or the phenomena of how materials work, would be great places to focus your at-home art-making efforts. For example, use clean medicine droppers to pull up liquid watercolor or a water/food coloring mixture, and then squeeze this onto paper. Or invite your toddler to mix food coloring into shaving cream and then paint with it in the bath. With projects like these, children get so focussed on the experience of exploration that they’ll forget about there being a “right” way to do something. Thanks so much for adding these great suggestions, Rachelle. Thank you so much Janet and Rachelle! My son gets really frustrated when I won’t draw a particular thing for him on their easel but I am trying your suggestion. Their grandparents just spent a while here visiting and they were doing a lot of drawing for the kids, so it’s a habit I need to break now. They used to not ask and now it has translated to play doh and stuff now too. My son is on the autism spectrum and does some therapies and since I am there, I see that the therapists always show him how to do XYZ with play doh, then fix it if he isn’t doing it “right” etc, I am torn about the benefits of these therapies vs the serious cramp they put on his creativity. My son is also autistic and whilst we don’t follow any rigid therapy programme I have found it beneficial to model aspects of behaviour and to practise them with him – we have a lot of spoken mantras and visual timetables/plans of action or response. I worry that I have meddled far too much in artistic endeavours but I have a child who needs to observe dozens of times before he feels able to experiment … he does however experiment and ‘do his own thing’ once he gets involved. So I think, certainly hope, that the creativity follows there. 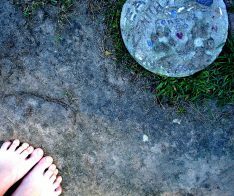 What I feel is important is that we have these guiding principles in mind – those of stepping back, allowing creativity to happen, not imposing our views and expectations upon the child’s art – to modify and contain the more rigid training strategies that we have particular reason to use at other times. Helen, beautifully said… Thank you! I totally agree that art for early childhood is all about exploration and experimentation and that parents/teachers need to be very mindful not to inhibit or restrain the natural creativity of a child… and to encourage their own thinking and ideas… But I Don’t agree that we should not give any ‘instructions’ or make ‘suggestions’. I run private art classes for children.. The youngest ages are all about freedom and no ‘expectations’ but once a child reaches 3 or 4 I am very happy to extend their art interactions with more ‘project’ oriented tasks and to demonstrate new techniques and encourage them to think of solutions and different options. Like Meagan above I think there is place for BOTH – and nothing but ‘free creativity’ is perhaps doing a disservice to the children by not teaching them some new skills and approaches! He also wants me to do EVERYTHING for him-so when I give him paper and crayons he hands me the crayon to draw. I want him to have creative outlets, but I think maybe I should just wait and introduce it later? Or keep trying new things? Hi! That made me laugh, A very intelligent boy letting his mum know what he thinks of the crayons. Hi Danielle, here’s the reply I left for you to your similar question on “Why Not Draw For A Child”: Your son’s behavior and lack of interest at this age sounds perfectly normal to me. To peak his interest I strongly suggest zero pressure and lots of waiting. In other words, be patient and trust your boy. He’s working on other things that are more important to him right now (and only he knows what they are). @ Danielle —sounds like he is on to somethhing with the paper ripping. Give him different colors of paper and some Qtips with glue! Janet…I appreciate your posts. After watching this video I can truly say I don’t allow the freedom I thought I did. We are a process art school, but I become frustrated trying to figure what the limitation should be. For example, if we allowed 14 kids to pour paint we would be undone. Or painting a project and kids want to paint their entire arms. Sometime I allow, but it is difficult for me to make these decisions from time to time. I don’t want to stifle creativity, but have to have boundaries. Any advice on how to meet both these requirements? Thanks. Great question, Stephanie. I think it’s perfectly fine to place limits around the use of materials. I believe this with books as well. Children should not feel free to do whatever they want with a book, a can of paint or a paintbrush (like eat them, for example). Children need to learn to respect these materials and you sound very capable of making thoughtful judgment calls. Perhaps they could each have a measuring cup from which to pour a ration of paint… These are practical, real life issues and do not stifle creativity the way “instruction” and embellishment can. I am delighted to say that I found your blog this week, right in the middle of getting my space ready for a new school year with the children. Specifically, I’ve been thinking about the children’s access to painting and wishing for a little inspiration… this moves me to tears. Aelita’s concentration and joy in the act of creating is so familiar to me in the faces of my own children. May we all spend time in a place that sees who we are and celebrates the beauty in that. Thank you for what is a wonderful new resource for me. I look forward to more! Such a lovely comment, Marie! Thank you! That’s when adults are at their best, also.–I know I am. One point that is not emphasized: This approach is not just better because it respects the child, it is better because it is better for building strong brains–they become smarter this way. The Jaspers will be the ones with the better test scores. I really appreciate this insight, Rick. (For those who don’t know Rick, he has been a educator for 45 years, headmaster of some highly regarded schools, and is also an author and nationally recognized speaker). I am loving your posts. I recently read a great little book that emphasises the importance of fostering creativity. It is called ‘Magic Places’ by Pennie Brownlee. It was first published in about 1983 by the New Zealand Playcentre Federation. It has been revised a few times but is just as, if not more, pertinent now. I hope you are able to find a copy somehow to have a look at it. Thanks for the inspiration and help Janet. Abby. Thanks, Abby. I’ve heard mention of Pennie Brownlee several times now, so it’s time for me to check her out. As always I found this post inspired, thank you. As a designer myself – I find it key to allow my child to do all of his experimenting and art (he’s 23 months old) by himself and with minimum input for me. Generally I’ll just put out some paper, crayons, stickers and let the magic happen. Which works great. I once made the mistake of absent mindedly doodling a horse on a piece of paper along side him – and he got so excited and wanted me to draw more. I realized that this might set some expectation for him to be drawing something particular or for him to be passive and have me draw so I decided I wouldn’t be drawing alongside him anymore and I believe this gives him the space he needs to explore his own creativity. But something really nagged at me about the video of Aelita. I did appreciate your comment – shouldn’t all children recieve this respect and freedom – certainly! But I followed the link and found that little Aelita shows her work at prestigious galleries where they’re sold for huge sums, is the topic of a full feature film and a website, and is named a “prodigy”. I felt really uncomfortable with this kind of pressure on a child. I think it’s wonderful that she should be given the space, tools and respect to develop her interests – but something about this commercialization does not seem respectful to me. After all it’s not her who is steering this ship to be a money making sensation. And the word “prodigy” seems so domineering and high pressure. Perhaps I am overreacting? Perhaps what I’m saying is agist? But I think there’s a certain robbery of childhood in relating to her as “the next Pollack”. Interested to hear your thoughts! Hi Avital, and thanks for sharing your wonderful example! I don’t think I would describe Aelita’s situation as “disrespectful”, but certainly any time there is fame surrounding children, it must be handled with great care and sensitivity. We’ve all noticed how hard it is to be a “child star” in the entertainment business, etc. I can’t quite remember how old she was in the most recent video I saw of her… I think around 6, and she still seemed totally authentic and inner-directed. I guess time will tell, but I certainly wish her the best. And maybe one day she’ll wake up and decide to be an accountant. I agree it seems authentic and her story is an incredible inspiration of how children aren’t “half adults” they are complete in their own self and don’t need to be “finished” or “matured” to earn respect. Thank you as always! I like waiting until a child requests lessons, which children might do from age four or five on up. Then we can trust their readiness for direct instruction and be sure that this is our children’s interest, rather than ours. I love this article and I agree wholeheartedly, shower I do not believe this child to be a prodigy. This is the result of allowing your child to be creative and express themselves without interference or putting your own agenda first. This is exactly what my son does in the bath tub with finger paint and it is fantastic. Great article. I love this article. I trained as a teacher this year, specialising in early years, and one thing I couldn’t stand was the insistence of the teacher I was training under that the art table had to contain an example picture for the children to copy that was “topic relevant” (they were 4 and 5 year olds). Every time she was off sick I would put out material choices instead and the look on the children’s faces that they were allowed to paint or sculpt or draw anything was just amazing. They really needed that release. I’ve decided I can’t work in an education system that doesn’t respect children’s right to choose and autonomy. Reggio is a system that highly respects and values children and their thoughts, ideas, learning process, anything they choose to create, their ability to self direct and choose and their inherent ability to communicate in “a hundred languages” rather than the one adults prescribe for them. I really recommend looking into it if you’re an RIE parent looking for a preschool, or even just for some brilliant ideas and philosophies about early childhood. It isn’t just about art, although that is a highly valued part of Reggio provision because of the huge benefits to children. Hope it was okay to explain it here briefly here in this comment, it’s just such a relevant approach to the art in the original article! I love this article and completely agree. I see it all the time with my 3.5 year old. She is much happier when I’m busy doing something else and she gets engaged with painting or drawing by herself. However, about half the time she BEGS me to draw with her. Although this seems like a good idea, it almost always ends badly. I usually end up upstaging her somehow and she just watches me draw or gets upset and scribbles over everything to erase it. I want her to draw on her own and get into the flow of it. Sometimes I say that I just want to watch her draw, or that I’m busy doing housework, or I pretend like I’m terrible at it, or I draw with her (on my own paper) and just let her tell me what to draw. Nothing works very well. Any ideas? Hi! I don’t know how long ago you posted this, but I have the same issue with my kids. I recently started just enjoying the colors and ways of holding and moving the medium (crayon, pencil, etc) when they ask me to join them. Then there’s no upstaging and I’m making space for whatever they want to/can do. And it’s actually pretty enjoyable! Hi Ritz! Thanks for your supportive words and for weighing in with your experience. What lucky children! This is really interesting to think about – it reminded me of when I taught Sunday school in our church. A lot of the other Sunday school teachers would put quite a lot of effort into designing craft projects for the children to do, or at least have some sheets for them to colour in. I was never organised enough to prepare anything like this in advance but there was plenty of black paper, pens, etc. So after we read the Bible story and usually acted it out, I would give them all a sheet of paper and say not we are going to draw a picture of the Bible story (creation, Jesus healing a little girl, or whatever). They seemed to enjoy this and it was much more interesting to get a lot of different pictures of something rather than badly-done colouring-in. I am quite pleased to learn that my laziness/lack of organised-ness was actually helping their creativity! It also reminds me of a time when I was at a vacation Bible class as a child and we were all supposed to design a picture frame. I had mine just the way I wanted it, in a fairly minimalist way, when a supposedly helpful adult came along and tried to get me to stick a load more sequins on it. I can still remember how frustrated I felt, not wanting to go against this adult but also being quite happy with what I had done and not wanting to change it!